In late 2013 and early 2014, the British government phased out foreign aid payments given to the government of South Africa. South African government officials were shocked and dismayed by their former colonial master’s announcement. But Great Britain is presently experiencing an economic downturn. Nations such as Canada, Ireland, Greece, Italy, Iceland, Portugal and Poland have high rates of unemployment, while financial resources remain constrained during the ongoing economic malaise. These nations, along with larger and more economically sound nations like Germany, may have little choice but to phase out foreign aid given to developing nations. Prior to the economic slowdown that followed the meltdown of North America’s high-tech economy, Western governments were reluctant to curtail foreign aid payments made to developing nations. The USA curtailed foreign aid to the Ugandan government of Idi Amin and Western governments also curtailed foreign aid to the Zimbabwean government of Robert Mugabe. But a former Washington insider let it be known that the American government likes to give foreign aid to overseas governments as it assures American influence inside those governments. From this perspective, foreign aid is a form of economic colonialism. The practice of government-to-government foreign aid programs began during the post-colonial era, motivated by academic theorists who advised that post-colonial economies would develop with the assistance of foreign aid from wealthier nations. While colonial rulers may have exploited the resources of their colonies, they often left their former colonies with functioning economic sectors. Despite the ruthlessness with which British government officials administered colonial India, private British businessmen built a functional and efficient railway system across the subcontinent. India’s government now owns, subsidizes and operates a once-viable and privately owned railway system. When it was granted independence from British colonial rule, the African nation of Tanganyika (later known as Tanzania) had a functional economy with productive, viable privately owned farms. Tanzania’s first local head of state, Dr. Julius Nyerere, had studied Marxist economics at the London School of Economics and proceeded to transform Tanzania’s formerly free-market economy into a centrally-planned Marxist economy. Food production declined to the point where Tanzania actually experienced famine, something that had never occurred during colonial rule. 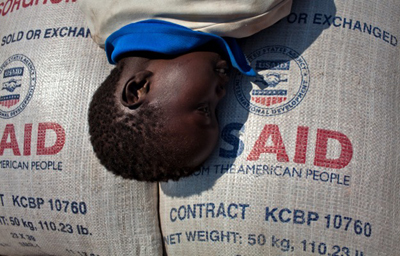 Western governments, Canada among them, began to provide assistance that included foreign aid. Despite generous “donations” of government-to-government foreign aid, Tanzania’s centrally planned economy malfunctioned, and the country experienced repeated food shortages and famines. The apartheid-era government of South Africa even provided foreign aid to Tanzania in the form of food donations. News commentators wrote that Tanzania had become “a bottomless pit for foreign aid.” Beginning during the rule of Julius Nyerere, journalists in other African nations began to write about the negative side of government-to-government foreign aid. In his book entitled Africa Betrayed, African intellectual Dr. George Ayittey detailed how African dictators were responsible for Africa’s worst famines. Only after Julius Nyerere was long gone from public office, and after the socialist economies of Eastern Europe had collapsed, did a later Tanzanian government open the country up to greater market freedom. The result was an improvement in Tanzania’s economy. Indeed, the main downside of government-to-government foreign aid is that it supports central planning by state officials who have been well-schooled in Marxist economic theory and have little understanding of the workings of a functional market economy. Phasing out government-to-government foreign aid to developing nations that administer central planning would result in a massive layoff of government bureaucrats. In his book, Ayittey described how several African dictators had actually plundered local economies for their own benefit. While providing foreign aid to a nation such as Zimbabwe helped sustain the lifestyles of government officials, it did comparatively little to benefit ordinary citizens. Zimbabwe’s government forcibly seized farms owned by whites and gave then to black supporters of the government. But the new farm owners had little knowledge of agricultural management, and farm productivity declined. Zimbabwe provides a clear example of government-to-government foreign aid benefiting a small percentage of the population. Zimbabwe also provides an example of the majority of a developing nation’s population being no better off with government-to-government foreign aid than without such aid. Displaced white farmers moved to other nations, including nations in central and tropical Africa, where they developed productive and viable farms. Their example illustrates how people can achieve and succeed on the basis of know-how and ability. In this case, displaced Zimbabwean farmers had knowledge of irrigation, water storage, and numerous other skills related to starting and sustaining a viable, productive farm. In this regard, Zimbabwe provided a form of people-and-skills foreign aid to other nations, the political leadership of Zimbabwe being ignorant of the nature of the human resources they had driven from their nation. The displaced Zimbabwean farmers’ knowledge of irrigation through the diversion of a percentage of a river’s water into water storage in private (covered) dams on private property allowed them to maintain farm productivity during periods of reduced rainfall. Two years ago, a region of Niger through which the Niger River flows faced famine conditions due to a lack of water storage capacity. Since the 1960s, various African nations have received decades of government-to-government foreign aid, including the governments of Sudan, Ethiopia, and Somalia. Granting such aid has at times suited the political aims of donor nations’ governments, to assure the safe passage of Middle Eastern oil to foreign destinations, for instance. But the economic underdevelopment that persists in parts of Africa and in some other nations around the world are at least in part the result of earlier episodes of government-to-government foreign aid. A phase-out of such programs would encourage more productive private entrepreneurial initiative on the part of private citizens.